Private mode in Opera Touch allows you to surf the web without the browser tracking your activity. All browsing data, such as cookies and history, are removed after closing private mode, therefore making it impossible to reopen closed tabs or review browsing history. To open private mode, tap and tap Private mode. 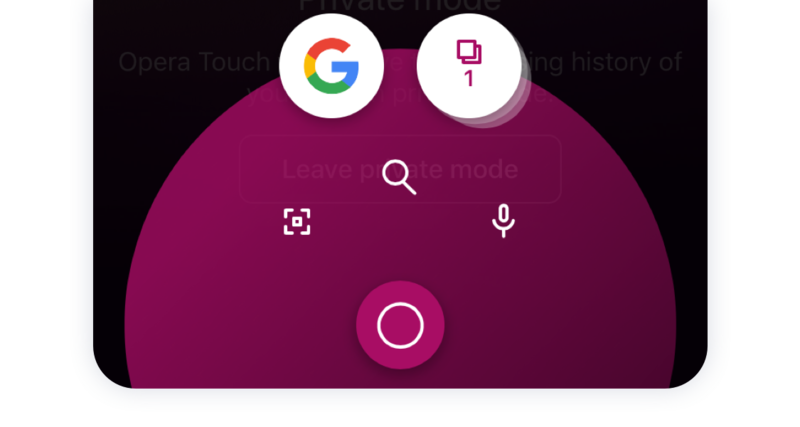 The pink-colored FAB button and the icon in the address and search bar help to indicate that you are browsing privately. Private mode has neither a Home screen nor site bubbles since no browsing data are retained. 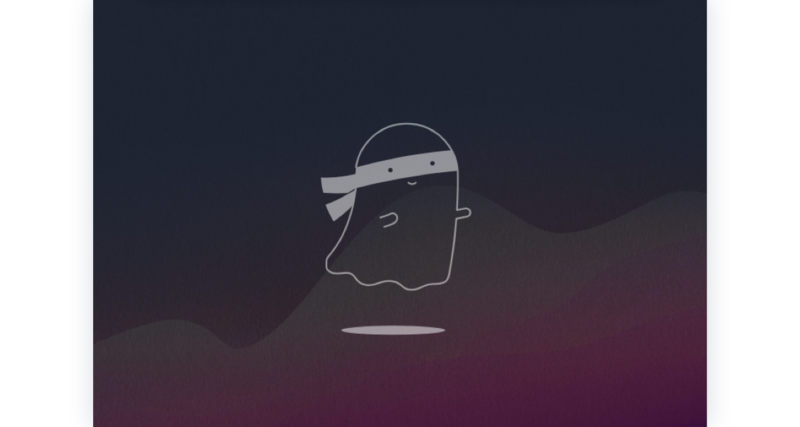 You can switch between normal and private browsing without losing tabs in either mode. In this way, you can have two active browsing modes at one time. Your content in My Flow and pages from History can be opened in private mode. Closing Opera Touch or purposely leaving private mode will clear all browsing data in private mode. Content deliberately saved in private mode remains in the Opera Touch. You can send private tabs to My Flow and they can be accessed in either browsing mode. If you star a page, the page will be added to Home in normal browsing mode and not private mode. Please note that search suggestions which appear in the search and address bar are sourced from your regular browsing history. You will not see suggestions sourced from any searches made in private mode because no browsing data are retained from there. Leave private mode – choosing this option leaves private mode on in the background as you resume normal browsing. This is the best option if you want to later return to open tabs in private mode. Leave and close private tabs – choosing this option clears all private tabs.